Glengarry lays a wreath at the tomb of his ancestor Young Glengarry on behalf of the 1745 Association. Glengarry and Lady Glengarry viewing the plaque after the unveiling. Close up of the plaque and its wording telling the story of the death of Young Glengarry. Piper Sandy MacDonell pipes a moving lament following the laying of the wreath at the tomb of Young Glengarry. This entry was posted in News on January 26, 2018 by Glenmac. On Saturday 3rd June 2017 six members of the 1745 Association set out with backpacks, walking boots and waterproofs on an expedition to Ben Alder by Loch Ericht in the Highlands of Scotland to identify a possible location for the famous “Cluny’s cage”. 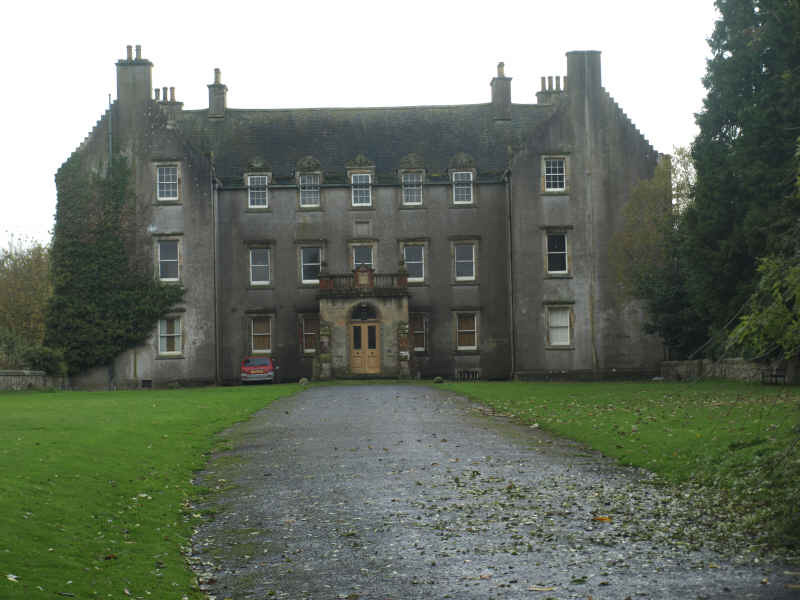 This was the secret habitation where Cluny Macpherson concealed Charles Edward Stuart and others in September 1746 in the days immediately before a ship returned him to France following the Battle of Culloden and his subsequent period as a hunted fugitive in the Highlands and Islands. Although accounts from the period have given us a description of the cage as a concealed timber constructed and thatched habitation nestling under a rock face with a natural stone hearth and fireplace somewhere in the high wilderness of Ben Alder overlooking Loch Ericht, it seems that there has never been absolute certainty as to its exact location and a number of possibilities have been suggested and even marked on various maps over the years. Having driven and then walked into this very remote area, the 1745 Association search team based themselves at Ben Alder Cottage Bothy on the west side of Loch Ericht before splitting into smaller groups to climb the hills and corries in the vicinity in search of likely possible locations for the famous “Cluny’s cage”. Accompanied by Glen MacDonald and Jim King, Steve Lord revisited the position where he believed the cage to have been from his previous visit to the area prior to writing his excellent book “Walking with Charlie”. Having concluded that, although a possible contender, for various the place did not entirely match the descriptions from contemporary accounts (most notably from the “Lyon in Mourning”) the trio set off back towards Ben Alder cottage. After short while Glen looked upwards with binoculars and spotted a place high on the steep and rocky slopes of the Ben Alder mass beneath the Sgairneach Mhor summit that looked more promising. There was just time to climb to it before the appointed R/V back at the Bothy and so he and Jim decided to tackle the high slopes in order to investigate further. After an arduous and exhausting climb up steep slopes and over rocks and boulders , they arrived at the lip of a craggy, heather covered platform nestling beneath a high vertical cliff approximately 650 meters above sea level. To their surprise, excitement and delight it quickly became apparent that this place matches the basis of those contemporary account descriptions. In particular the niche is concealed from view from below, overlooks Loch Ericht and provides a commanding view of the surrounding areas to the south and west and across the south end of Loch Ericht. Most interesting also was the fact that at the rear of the flat area upon which the Cage might have stood were two enormous rocks leaning inwards against each other and topped with a capstone forming a natural fireplace above which smoke could have risen through a series of natural stone channel chimneys and then lost from view and totally dissipated against the vertical cliffs to the rear. In this way it is known that tell-tale smoke from fires for cooking and heat from the cage were concealed from possible redcoat patrols in the glen below. This all matches descriptions from contemporary accounts. Furthermore, the underside of the stones in this natural rock hearth have a dark blackened appearance suggesting that a fire may indeed have burned there at some time – although certainly not in recent times or years. Although the place nowadays has no trees, which seems contrary to the description of the cage as being concealed in a “thicket of trees”, it is seemingly well known that the area had many more trees in the mid 18th century than it now does. Has the 1745 Association therefore found the true location of “Cluny’s Cage” where Bonnie Prince Charlie was concealed in 1746? Who knows? Possibly! Whilst others may perhaps have discovered other likely locations, the 1745 Association believes that it has found a strong contender that ticks many of the boxes suggested to us by contemporary accounts. The association will now consider what further research or archaeology may be required and/or feasible and affordable in order to establish this beyond reasonable doubt. To be continued……………!! Side view of stone hearth area showing ground in front of rocks where cage may have stood. This entry was posted in News on June 5, 2017 by Glenmac. This entry was posted in News and tagged Jacobite Bookshelf, Pictures on March 29, 2017 by dwwaddell. This entry was posted in News, Research and tagged Fraser, Jacobites, Lovat on March 24, 2017 by dwwaddell. Association Council members Maureen Lipscomb (Secretary) and Glen MacDonald (Vice Chairman) attended the annual Duncan Johnstone Memorial Piping Competition at the National Piping Centre in Glasgow on Saturday 19th March 2016. The 1745 Association originally donated the trophy for the winner of the March, Strathspey and Reel section of the competition about 15 years ago. Having spent a very pleasant afternoon listening to the various competitors piping in the Piobaireachd, Jig and March, Strathspey and Reel categories, Glen MacDonald was delighted to have the honour of presenting the 1745 Association Trophy to this year’s winner, a young and very talented piper by the name of Connor Sinclair. Connor also won the competition in 2015 and is personal piper to the former SNP leader and Scottish First Minister, Alex Salmond. This entry was posted in News on March 22, 2016 by Glenmac. Falkirk or Paradise? Commemorating the 270th anniversary of the Battle of Falkirk. Callendar House, Falkirk, Saturday, January 16th 2016. Falkirk, the forgotten battle…..the penultimate battle fought on British soil…. the final Jacobite triumph, yet a pyrrhic victory which left Prince Charlie’s forces severely depleted…..
270 years after the battle was fought, The 1745 Association is organising a free event to remember what happened on that day. Midday: Those who wish to enjoy The Prince’s Dinner before the Main Event will gather in the Green Room, Callendar House, where, on September 14th 1745, Prince Charles Edward Stuart dined with the Earl of Kilmarnock. 1:30 PM: Green Room: Welcome and Introduction to Callendar House and the Earl of Kilmarnock during the ‘45 (Michael Nevin). 2:00 PM: The group will depart for a guided tour of the Battle of Falkirk by Geoff Bailey, author of Falkirk or Paradise (1996), the authoritative account of the events leading up to the battle and the course of the battle itself. 3:45 PM: Return by way of Falkirk Parish Church, to pay our respects to the graves of Hanoverian and Jacobite officers who fell at Falkirk. 4:30 PM: Return to Callendar House for a warming cup of tea, coffee or mulled wine, with bannock / scones. stating whether the booking is for The Main Event from 1:30 PM onwards, or whether you also like to book for The Prince’s Dinner at midday. This entry was posted in Events, News and tagged Battle of Falkirk 1746, Callendar House January 16 2016, The Earl of Kilmarnock on November 30, 2015 by kilgour77. Many thanks to those members who turned out at Sheriffmuir in fairly dreadful weather on Friday 13 November to commemorate the Tercentenary of the Battle of Sheriffmuir at a joint event held in conjunction with the Association of Highland Clans & Societies (AHCS) and the Clan MacRae Society. Approximately 90 people attended from all three organisations with Jamie Erskine, the current Earl of Mar and Kellie and a direct descendant of the 6th Earl who lead the Jacobite army that day in 1715, as a principal guest. After a short ceremony and speech and a lament at the large Clan MacRae monument to remember those of that clan who fell in the battle, the focus shifted to the nearby 1745 Association cairn and plaque. The Rev Bob Harley then conducted a very moving service which included prayers, the singing of the 23rd Psalm, the reading of his poem “Allan Water” about the battle by James King and the laying of two wreaths by Council Member Mike Niven on behalf of The 1745 Association, and by John Nichols of the Northumbrian ’15 Society, followed by a lament entitled “Lament for the Children” by the Clan MacRae Piper, Jimi MacRae. Thereafter those able and willing trudged across the moor through mud, bogs and puddles to the Gathering Stone on the battlefield where a third commemorative event took place arranged by the ACHS at which our President, Brigadier John Macfarlane, read selected verses in both Gaelic and English from a moving poem of the time about the battle. Wreaths were then laid by the Earl of Mar and Kellie and several clan chiefs and representatives from a number of other clans and organisations, and the piper completed the proceedings with a third lament. Following the muddy trudge back to the road all were then ferried back by coach to the Sheriffmuir Inn to dry out and warm themselves through over afternoon tea and cakes. Although the weather was cold, windy and wet, in a strange way many present felt that it made them better appreciate the conditions endured by those who fought that day in 1715. All in all a very successful, worthwhile and poignant commemorative event. I attach some photos of the day. at what has become known as the Battle of Sheriffmuir. in favour of the restoration of the exiled King James VIII (the “Old Chevalier ). This entry was posted in News and tagged Events, Jacobites, Links, Maps, News, Pictures on November 16, 2015 by Glenmac. This entry was posted in News on November 16, 2015 by dwwaddell. Arrangements are now all in place for the “tri venue” commemorative event at Sheriffmuir on Fri 13 Nov and I am emailing you all now to let you have the relevant details in advance. Firstly, although I am still awaiting confirmation of the final Nos in one group, I believe that there will be at least 20 people in our party comprising mostly 1745 Association members plus one or two guests including, most notably, John and Elizabeth Nichols from the Northumbrian ’15 Society. As far as I can work out I think that 15 of us are intending to repair to the Sheriffmuir Inn on completion for afternoon tea, so that should all be very convivial. As a reminder there will also be approximately 60 others attending from the various affiliated clans of the Association of Highland Clans and Societies (AHCS), as well as a separate, distinct group from the Clan MacRae. In all therefore there should be about 80 of us which will be a good turnout. It is also of note that James Erskine, the current Earl of Mar, will also be attending as a guest of the ACHS. Please remember that there is no parking at the battle site cairns, and everyone should meet and park their cars at the Sheriffmuir Inn, FK15 0LN, before 1.30 pm. (Indeed any vehicles parked at the very small layby next to the cairns will prove very awkward and inconvenient as there will be limited space for the numbers present on foot). Toilet facilities will be available in the Inn for those who, as we say in the Royal Navy, may wish to take the “seamanlike precaution” of “easing springs” in advance of battle! The first shuttle bus will leave from the Inn at around 1320. Buses will shuttle people the mile or so, down to the cairns ready to start the Commemoration at 1400. There is some talk amongst ACHS members of marching down the road from the Inn to the cairns, although at the time of e mailing I am not entirely sure if this will take place or not, and I daresay will depend upon the weather. If this takes place I am sure that any of you who wished to join this march would be welcome to do so, but may wish to arrive slightly earlier for this. For John Nichols – John, we are very pleased that you and Elizabeth will be with us and would of course be delighted to include provision in the proceedings for you to lay a wreath on behalf of the Northumbrian ’15 Society if you wish to. Alternatively you may prefer to lay a wreath at the Gathering Stone. You can let us know in due course, or on the day. Thereafter, for those wishing and able to make the walk across the muir on the battlefield itself, the ACHS will conduct a third commemorative event at the Gathering Stone at which a number of representatives will lay wreaths from various clans and societies etc. This event will also include the reading of an appropriate poem in Gaelic by our own President, Brigadier John Macfarlane, as well as a further lament by the piper. Please remember to wear suitable footwear for the walk up onto the muir where the going, depending on the weather, may be wet and muddy or icy. All in all this should be a very enjoyable and interesting event. Thereafter we will walk back to the roadside area where the shuttle bus will take us back in groups to the Sheriffmuir Inn for afternoon tea and/or to be reunited with our cars, as appropriate. For those partaking of afternoon tea this has been booked for you and the cost will be £6 per person, for which I understand we will (each!) be offered tea, a scone and a piece of cake! Please bring exact money for the numbers in your group as I will collect £6 per head from each of you in order to pass the correct amount of money to the ACHS who will then settle the bill on behalf of all three groups. Providing change in return for £10 or £20 notes may not be possible. I am very keen that we capture this event in photographs so that we can then post them on our website and possibly also in a future 1745 Association E mail Newsletter. Whilst I will take some photos myself, it would therefore be appreciated if some of those present might also bring a camera and subsequently e mail any good digital images to me for these purposes. “Nicholas Maclean-Bristol will be attending the Commemoration and there is a chapter on the Maclean involvement in the battle, along with the lead up to the battle and its aftermath, in his book ‘Castor and Pollux’. If people have not got a copy, and contact him [nmbcoll@aol.com], he will bring copies on 13th November. The cost of the book [a big reduction] is £15. I hope that all of the above information is clear. However, if anyone has any particular queries or issues then please don’t hesitate to e mail me back. Meantime, thank you very much for your willingness to attend this event I very much look forward to seeing you all on the day. Many thanks. This entry was posted in News on November 1, 2015 by Glenmac. As you may know this year will see the 300th anniversary of the Battle of Sheriffmuir on Friday 13th November. The battle of Sheriffmuir, the site of which is near Dunblane in Scotland, was a significant and fateful event in the history of the 1715 Jacobite Rising and some years ago the 1745 Association erected a commemorative cairn and plaque close to the battlefield. A picture of the cairn may be viewed on our website. The 1745 Association is currently planning a commemorative event to take place at the battle-site on Friday 13th November in conjunction with the Association of Highland Clans & Societies (AHCS) and the Clan MacRae Society, who also have a cairn at the battle-site. Representatives will also be present from the “The 15” Northumbrian Jacobite Society. Members of the 1745 Association are therefore invited to attend what promises to be an interesting, poignant and sociable commemorative event. The outline plan is to gather at the Sheriffmuir Inn a mile or so from the battle-site by 13:30 that day where cars may be parked, and then board shuttle mini-buses to the battle-site (where there is little or no parking available). At 14:00 the Clan MacRae will hold a short commemorative and wreath laying event at their cairn followed by a similar event at our own adjacent 1745 Association cairn. Those present will then be invited to walk the short distance to the “Gathering Stone” on the battlefield (a ten minute walk over paths and some rough ground requiring stout footwear!) where the AHCS will lay wreaths on behalf of their member clans. A piper will be present throughout and will play at each event. On completion all will return to the roadside and re-board the mini-buses to be shuttled back to the Sheriffmuir Inn for afternoon tea at 16:00. AHCS have very kindly agree to pay for the mini buses but members wishing to attend will be asked to pay a small fee for afternoon tea if they wish to stay for this. As the logistics of the transport and the tea depend upon the numbers attending it is requested that any members who wish to attend contact Glen MacDonald by e mail no later than Tuesday 20th October in order to reserve a place . Glen may be contacted by e mail to: glenmuriel920@hotmail.com. This entry was posted in Events, News and tagged Events, News on September 18, 2015 by dwwaddell. If you ever wanted to take part in a movie about the 1745 rising, now is your chance. This entry was posted in Events, News on September 2, 2015 by dwwaddell. 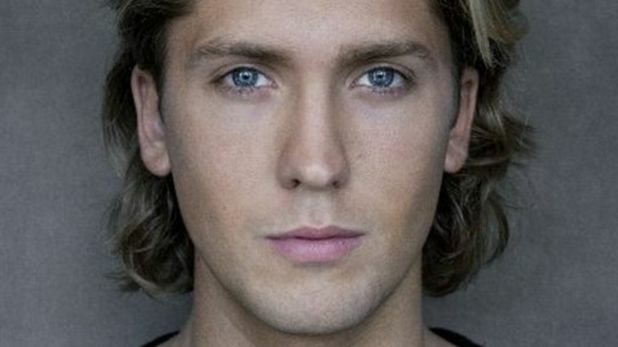 English actor Jamie Bacon, who has never been to Scotland, is to play the lead role in a film about Bonnie Prince Charlie. The Great Getaway will follow the Young Pretender’s escape across the Western Isles, after defeat at Culloden in the failed Jacobite rising of 1745. Having previously appeared in small roles in little-known British indies, this is Bacon’s first major film role. Although previously linked with American actor Jake Abel, executive producer Robbie Moffat has said that Bacon would be “perfect” for the part. This entry was posted in News and tagged News on August 6, 2015 by dwwaddell. In September attendees of the Annual Gathering visited Scalan in the Braes of Glenlivet. For much of the 18th century, the college at Scalan was one of the few places in Scotland where young men were trained to be priests. From 1717 to 1799, over a hundred were trained despite the place being burned to the ground in 1746 by soldiers under the command of Cumberland. Since that visit I have been contacted by Fr Michael Briody who is the secretary of the Scalan Association. Fr Briody sent me a copy of a booklet he has recently published. It is entitled “Some account of the state of the Catholic Religion in Scotland during the years 1745, 1746 and 1747”. The booklet is available from Fr Briody, St Michael’s Church, 133 Glenmanor Ave., Moodiesburn, Glasgow, G69 0DL. The cost is a mere £3.00 (inc postage in UK). Please make cheques payable to The Rev Michael Briody. Any money raised will go to reducing the debt owed for the new church of St Michael so if you can see your way to including a donation as well I am sure Fr Briody will be grateful. This entry was posted in News and tagged Bookshelf, Library, News on November 8, 2014 by SteveLord. In July, August and November 1746 a total of seventeen men were put to death by hanging at the scaffold erected on Kennington Common in London. The men held a variety of ranks and levels of authority and some were Scots and some English. In life they had all been supporters of Prince Charles Edward Stuart during the Rising of 1745/46. Sixteen of the men are buried in unmarked graves in St George’s Gardens which is just off Gray’s Inn Road and not far from King’s Cross railway station. Unfortunately, the exact location of their remains is not known but as one of the aims of the 1745 Association is to mark the places connected to the rising I am sure members will be pleased to know that this is about to come to fruition. A ground plaque will shortly be unveiled in the gardens to remember the men buried there. The seventeenth was Francis Towneley who was Colonel of the Manchester regiment and his body is buried at St Pancras Old Church not far away. Nine were members of the Manchester Regiment: Francis Towneley (Col.), Lieutenant John Berwick, Captain Andrew Blood, Captain James Bradshaw, Lieutenant Thomas Deacon, Captain George Fletcher, Lieutenant Thomas Chadwick, Captain James Dawson and Adjutant Thomas Siddall or Syddall. Bradshaw transferred to the Lifeguards –Elcho’s from the Manchester Regt and was captured after Culloden. Others were John Hamilton of Sandstoun, (Governor of Carlisle), Sir John Wedderburn, 5th Baronet of Blackness (Ogilvy’s Regiment), Captain Andrew Wood, (John Roy Stuart’s Regiment), Captain David Morgan, (Barrister at Law), Captain Donald MacDonald of Kinlochmoidart (Keppoch’s Regiment), Lt Walter Ogilvie, (Lord Lewis Gordon’s Regiment), Captain Alexander Leith, (Glenbuchat’s Regiment) and Lt James Nicholson (Gadd’s Coy -Perth’s Regiment). In Memory of The Officers and Gentlemen of the Army of Prince Charles Edward Stuart who were executed on Kennington Common in July, August and November 1746. Nine of the Manchester Regiment and seven Scots are buried here. Francis Towneley, Colonel of the Manchester Regiment lies in the churchyard of Old St Pancras church. The date of the unveiling of the plaque is not yet known. At the time of writing final permission has been granted and the plaque is ordered. Once the plaque is installed we shall decide upon a date for an unveiling ceremony which I hope will be attended by many people as well as representatives of interested organisations and possibly the press. Further news will be disseminated by email, Jacobite Forum and though the 1745 Association website. This entry was posted in Jacobite Memorabilia, News and tagged Events, News on November 7, 2014 by SteveLord. This entry was posted in Library, News and tagged Bookshelf, Jacobites, News on October 15, 2014 by dwwaddell. A BBC documentary from 1964, Culloden by Peter Watkins. A BBC documentary from 1964, Culloden by Peter Watkins is again available on YouTube. This entry was posted in Library, News and tagged Library, News on July 23, 2014 by dwwaddell. This is very good effort and a journey full of symbolism for the Scottish Episcopal Church and its Celtic roots. It is also a historical event of some significance. I do not think I will see the Bachuil of St Moluag return to Aberdeen in my lifetime. For more information on St Moluag, see Dean Alexander Emsley Nimmo’s interview. This entry was posted in News and tagged Events, News on May 15, 2014 by dwwaddell. I have the following letter from Carolyn Seggie. The 1745 Association supports the opposition to the development at Culloden and has sent a letter of support to NTS and of protest to “The Scotsman”, and various Scottish Government officials, namely, Richard Lochhead (Cabinet Secretary for Rural Affairs & the Environment), Paul Wheelhouse (Minister for Environment & Climate Change) and Fiona Hyslop (Cabinet Secretary for Culture & External Affairs). This entry was posted in News on February 26, 2014 by SteveLord. Just in case you haven’t heard – the Allan Ramsay Portrait of Prince Charles Edward Stuart, painted in 1745, and relating to Strange’s engraving, has been tracked down to Gosford House (Earl of Wemyss) by (naturally) Bendor Grosvenor. He and the portrait will be featured in a TV programme tonight (Saturday) on BBC2 at 9.00pm (The Lost Portrait of Bonnie Prince Charlie: A Culture Show Special). This will be accessible thereafter via your computer for 7 days on BBC iPlayer. This entry was posted in News and tagged Bookshelf, Events, Letters, News on February 22, 2014 by admin. This entry was posted in Member Help, News and tagged Bookshelf, News on February 14, 2014 by SteveLord. One of the best stories of the Forty Five yet to be told, that of the Hessian soldiers who marched into the Pass of Killiecrankie.The Hessians have been portrayed as the villains of the Forty Five, brutal mercenaries. Yet they were very different from the legend. Their leader, Prince Frederick sympathised more with his foes than with his allies. In later years his crisis of conscience would perplex Germany. The Jacobite clans were on the Great Atholl Raid. Their leader, Lord George Murray, hoped to outflank the army of the Duke of Cumberland. This may have been a fine chance for Jacobite victory. The result was the siege of Blair Castle. The Hessians defended their base at Dunkeld from Jacobite probes. Then they were ordered to relieve the Castle by marching through the feared Pass of Killiecrankie. The cast of characters includes many who behaved unexpectedly: the irresponsible defenders of the Castle; the rival Dukes of Atholl; the Campbell whose assassination featured in Stevenson’s novel Kidnapped; the inn-servant Molly; the European hussars seeking information by talking in Latin, the irascible Duke of Cumberland; the lovelorn Earl of Craufurd, attached to the Hessian force; and many more. This entry was posted in Library, News and tagged Bookshelf, Library, Members, News on November 25, 2013 by dwwaddell. Several recently discovered pieces of eighteenth century music are to be given their first modern airings during a concert at Ushaw’s historic St Cuthbert’s chapel. The concert will showcase Catholic music from the break with Rome in the sixteenth century to the eve of nineteenth century Catholic emancipations, exploring the ways in which the music developed to fit the frequently clandestine environments in which it had to be performed. The programme of sacred and secular vocal and instrumental music associated with the British Catholic recusant community will include works by William Byrd, Matthew Locke, Innocenzo Fede, Nicola Matteis and some exciting first modern performances of new discoveries. The music will be performed by Cappella Fede, whose leader, Peter Leech, recently discovered several pieces of music that were performed at the court of Bonnie Prince Charlie’s brother, the Cardinal Duke of York. The concert is on Saturday 29 June, starting at 7:30pm. Tickets are £10 each and can be obtained from Dr Lucy Underwood at Durham University’s Centre for Catholic Studies (l.a.underwood@durham.ac.uk). Please send cheques, include either email or postal address, to receive tickets as demand is likely to be high. Cheques should be made payable to “Durham University Centre for Catholic Studies”. The concert is taking place at Ushaw, the former seminary outside the city of Durham, as part of a major international conference on English Catholicism in the sixteenth to eighteenth centuries. On Saturday 29 June at 7:30pm in Ushaw College Chapel, Cappela fede – a specialist Early Music ensemble formed by conductor Peter Leech in 2008 – will perform a concert of music associated with the British Catholic community from the 16th to 18th centuries, as part of the ‘What is Early Modern English Catholicism?’ conference organized by Durham University’s Centre for Catholic Studies. Part of the concert will be devoted to music of the Stuart court-in-exile, based at Saint-Germain-en-laye from 1689-1719, then (via Urbino) at Rome from 1719 until 1807, the latter year seeing the death of Cardinal Henry Benedict Stuart at the age of 81. A keen musician from his earliest years, and made a Cardinal by Pope Benedict XIV at the age of 22, Henry Benedict spent much of his considerable ecclesiastical income on music, yet the legacy of his 60 years as a patron has faded into oblivion. Recent research by Peter Leech in Roman, German and Danish archives has revealed a wealth of previously unknown secular and sacred music written for Henry by highly talented composers such as Giovanni Zamboni (fl.1700-50) and Sebastiano Bolis (1750-1804). Some of these works will receive probably their first modern performances for more than 200 years at the Ushaw concert, revealing the musical splendour and magnificence at the court of the last Stuart monarch of the direct line from James I. This entry was posted in Library, News and tagged Bookshelf, Events, News on June 4, 2013 by admin. Please find details of the Langley Lunch and wreath laying which has been rescheduled for Sunday, 24 February, together with the programme of events for 2013 and a copy (for your records) of our Society Constitution. There is a reminder in the attached letter of subscription renewal due January. We will contact Members who have recently joined as and when their next subscription is due; for new members subsequent subscriptions will be from January 2014. If you have any questions about any of the attachments or details therein, please just let us know. This entry was posted in News and tagged Jacobites, News on January 20, 2013 by admin. I am sorry to hear that you have seen fit to resign from the 1745 Association because of my activities with the ‘Better Together’ campaign. It may be that you have misunderstood the nature of our 1745 Association. We are not apparatchiki for the present Scottish Government, any other form of Scottish Government, the SNP or, indeed, any political stance. To study the Jacobite period. To record and preserve the memory of those who actively participated in, or who had connections with the ‘45. To mark the appropriate historical sites. As a Gaelic-speaking Highlander with deep roots in Argyll, as a convinced Episcopalian and as an amateur military historian, I have fully sympathised with, and participated in these objectives for over a decade as Member, Member of Council, Chairman of Council and as President. You should understand that it is the Association which is non-political and not its Members. Each of us is entitled to private political views unassociated with the Association and is free to express them openly in what is currently a democratic Scotland. I intend to hold to my personal political views and to express them on appropriate occasions. I also intend to remain as President of our Association for as long as the Council and Members wish me to do so, furthering its non-political and historical objectives in any way I can. I intend to ask for this letter to be published on our website and in Jacobite so that Members are in no doubt as to the nature of our Association and our views on their political freedom as Members. This entry was posted in News and tagged News on January 9, 2013 by dwwaddell. English Summary: A CHANCE visit to a London gallery by Tim Roberton of the Moidart Local History Group has led to the identification of a precious Jacobite manuscript as the work of the leading Gaelic poet Alexander MacDonald (c. 1698-1770). An account of the ’45, written in English, it belongs to the Drambuie Collection, part of which is now on show at the National Portrait Gallery, Edinburgh. THA i a’ toirt iomradh air an là a thàinig am Prionnsa Teàrlach Eideard Stiùbhart gu tìr an Alba. Tha i a’ toirt sealladh pearsanta iongantach air ar-a-mach nan Seumasach suas gu Latha Chùil Lodair fhèin. Tha i nas prìseile ann an dòigh na obair-ealain sam bith bhon linn sin. Ach fad 190 bliadhna cha robh fios aig sgoilearan gun robh an làmh-sgrìobhainn luachmhor seo fhathast ann am bith, ged a chaidh i ‘na pàirt de Chruinneachadh Drambuie, a tha ri fhaicinn a-nis ann an taisbeanadh ann an Dùn Èideann. Chaidh lethbhreac de leabhar-latha le “Oifigear Gaidhealach ann an arm a’ Phrionnsa” fhoillseachadh ann an 1817 anns na Lockhart Papers. Bha e on uair sin air aon de na prìomh theacsaichean do sgoilearan eachdraidh na h-ar-a-mach. Ge-tà, bha sgoilearan riamh air tòir na làmh-sgrìobhainn tùsail, agus an-uiridh leag dithis duine sùil air làmh-sgrìobhainn anns a’ chruinneachadh aig Drambuie, a bha ga thaisbeanadh ann an Gailearaidh Fleming ann an Lunnainn, ‘s bha aon dhiubh an amharas gur e an aon leabhar-latha a nochd am measg phàipearan Lockhart. Tha Tim Roberton o Chomann Eachdraidh Mhùideirt a’ mìneachadh: “Bha mi fhèin ‘s mo bhean a’ tadhal air a’ Ghailearaidh. Chunna mi an leabhar-latha seo agus leum na faclan ‘Ceann Loch Mùideart’ a-mach ás an duilleig – tha taigh againn an-sin anns am bi sinn a’ fuireach bho àm gu àm. “As dèidh dhomh faighneachd dhen duine a bha a’ coimhead as dèidh Cruinneachadh Drambuie, fhuair mi a-mach gun robh fear air an robh Stuart Kendall a’ faighneachd mun aon leabhar ‘s gun robh esan air dealbhan a thogail de gach duilleig dheth. Bhruidhinn sinn ri chèile agus dh’aontaich sinn gun toireadh muinntir a’ chomainn sùil air na duilleagan ‘s gun dèanamaid coimeas eadar an làmh-sgrìobhainn aig Drambuie agus an leabhar-latha mar a nochd e anns na Lockhart Papers. Bha ceangal làidir cuideachd aig na Lockharts, aig an robh na pàipearan, ri iomairt a’ Phrionnsa. Bha Seòras Lockhart ann an arm a’ Phrionnsa mar aide-de-camp, ‘s bha Anthony Aufrere, a dh’fhoillsich na Lockhart Papers, pòst’ aig boireannach aig an robh dlùth chàirdeas do Sheòras. Tha sgoilearan air a bhith dhen bheachd air son iomadh bliadhna gur e am bàrd ainmeil Alastair mac Mhaighstir Alastair a sgrìobh na nochd sna Lockhart Papers. A rèir Raghnaill MhicilleDhuibh se làmh-sgrìobhainn air leth inntinneach agus prìseil a th’ ann. “Chan eil an teagamh as lugha agamsa nach e mac Mhgr Alastair a sgrìobh an leabhar tha seo. Tha luchd-eòlais mar Iain Latharna Caimbeul aonaichte mu dheidhinn sin o chuir Compton MacCoinnich a chorrag air a’ chùis ann an 1932. Bha fios againn bho na Lockhart Papers gun deach sgrìobhadair an leabhair ‘na fhear-teagaisg Gàidhlig dhan Phrionnsa ‘s bha seo coltach ris a’ bhàrd oir bha e ‘na mhaighstir-sgoile agus sgrìobh e an aon fhaclair Gàidhlig a bha ri fhaotainn aig an àm. “Seo a-nis an dearbhadh cinnteach gur e am bàrd a sgrìobh e. Tha sinn eòlach air an làimh aige bho iomadh litir agus receipt ris na chuir e ainm, agus seo i! Chan e sin a-mhàin, ach anns an dara loidhne mu dheireadh den chiad duilleig chì sinn ‘my Brother’ ri taobh ‘Æneas Macdonald of Dalely’. Cha do nochd ‘my Brother’ sna Lockhart Papers oir chaidh a dhubhadh ás. Nist, cha robh aig Aonghas Beag, Fear Dhail Eilghe, ach dà bhràthair – Alastair am bàrd, agus Lachlann aig an robh taca Dhrèamasdail ann an Uibhist a-Deas. Tha sin a’ toirt na roghainn a-nuas gu dithist! Tha ceist no dhà ri fhreagairt fhathast, a rèir Mhgr Roberton. Ciamar a fhuair na Threiplands greim air an làmh-sgrìobhainn? Dè cho fad ‘s a bha i aig na Lockharts a rinn lethbhreac dhith? Ciamar a fhuair iad an leabhar on ùghdar? Tha dà rud cinnteach ge-tà. Tha leabhar-là cho cudromach ri làmh-sgrìobhainn sam bith o linn Bliadhna Theàrlaich air a bhith sa Chruinneachadh aig Drambuie gun fhiosd dhaib’ fhèin fad iomadh bliadhna – ‘s gu fortanach a-nis tha e aithnichte mar chunntas a sgrìobh Alastair Mac Mhaighstir Alastair. Tha pàirt dhen chruinneachadh aig Drambuie ri fhaicinn ann an Gailearaidh Nàiseanta nan Dealbhan Daoine ann an Dùn Èideann. A rèir neach-labhairt on Ghailearaidh chan eil an làmh-sgrìobhainn am measg nan glainneachan fìnealta ‘s nan dealbhan grinn a tha iad a’ taisbeanadh an-dràsta, ach thuirt e gu robh iad an dòchas barrachd dhen chruinneachadh a shealltainn an uair a bhios crìoch air a cur air obair-leasachaidh a thèid a dhèanamh air a’ Ghailearaidh ann an ùine nach bi fada. Ma sibh ag iarraidh an còrr fhaicinn agus barrachd a leughadh mu obair Chomann Eachdraidh Mùideart, thoiribh sùil air www.moidart.org.uk. This entry was posted in Library, News and tagged News on November 2, 2012 by dwwaddell.